As teachers, healers, and scholars of the Divine, Sikh Dharma Ministers serve in many ways. 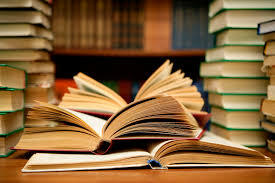 Please enjoy learning about these wonderful publications and productions by Sikh Dharma Ministers. 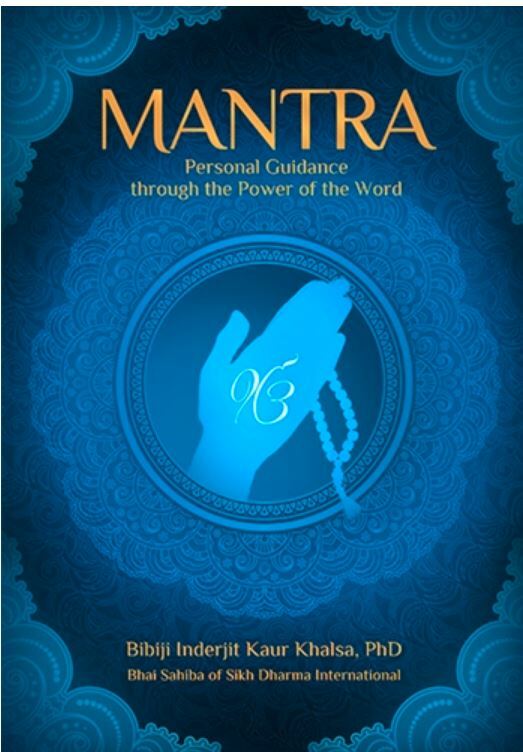 This book, published by the Kundalini Research Institute, contains hundreds of beautiful mantras to recite and repeat for many personal and spiritual needs you face in your life. 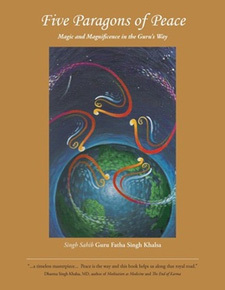 The mantras and sacredl hymns of the Sikhs in this book have been lovingly collected, translated, and commented upon by the devoted wife of the Siri Singh Sahib (Yogi Bhajan), the spiritual teacher who brought Kundalini Yoga to the United States in 1969 and built the extensive 3HO (Happy, Healthy, Holy Organization) and Sikh Dharma International worldwide community. Kundalini Yoga teachers follow a variety of spiritual paths, and the mantras in Kundalini Yoga are of a universal nature. They transcend religious belief and embody universal truths that every human being can experience. Containing many Sikh shabds (sacred hymns), this book also reminds us that the Siri Guru Granth Sahib is the source of solace, strength, support, protection, and healing. 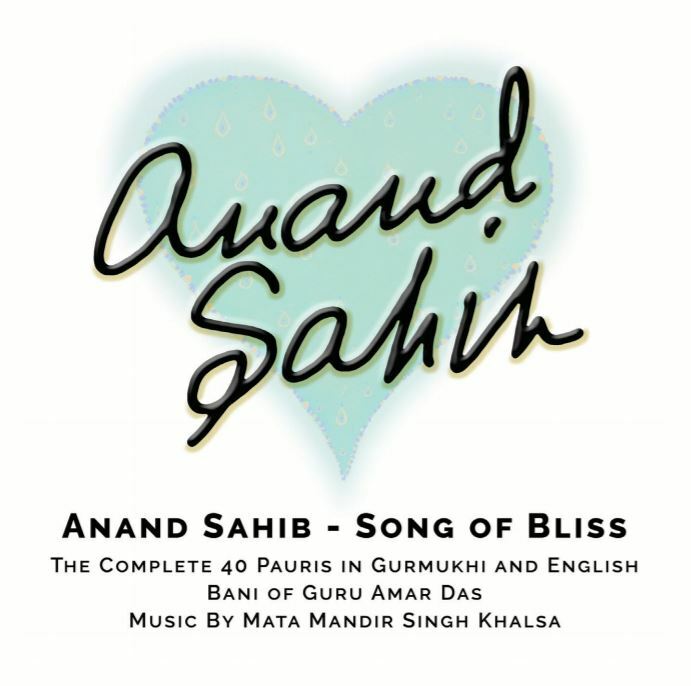 “The start for this project was about 2009 when we re-discovered the poem about the Anand Sahib (p. 235) by the Siri Singh Sahib in the Furmaan Khalsa-Poems to Live By. It is a poem that inspires yet is bold enough to not be misunderstood where Anand Sahib stands in Sikh history. Ideally, early morning sadhana, as taught by Yogi Bhajan, incorporates Japji Sahib (Sikh prayer of attunement with the soul), Kundalini yoga, meditation and Gurdwara (Guru’s Gate) a meditative, music-based prayer service that Yogi Bhajan referred to as the social part of sadhana. During approximately four decades of worldwide teaching, Yogi Bhajan consistently referred to daily sadhana as the most important practice once could do to enable self-mastery and achieve and maintain success. 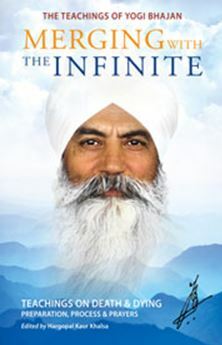 In his first book, The Essential Element, SS Jot Singh shares his experience of practicing daily early morning Kundalini Yoga and meditation (Sadhana) for over 40 years. 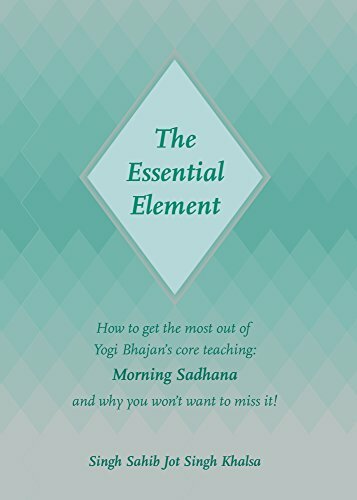 Included are techniques, tips and vegetarian recipes to support you developing a practice, and many quotes by Yogi Bhajan on the subject. The book also offers numerous suggestions to support your efforts building consistency with a practice which will uplift and transform you. 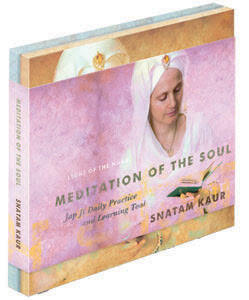 This meditation tool is for anyone who would like to deepen their meditation practice by learning Jap Ji, Guru Nanak’s Meditation of the Soul. Experience your own enlightenment as your soul awakens in the recitation of these sacred words. The set includes Jap Ji Daily Practice Book and Jap Ji Double CD with recitation tools and pronunciation guides to support you in the mastering of JapJi Sahib. At some point, we are all going home. We don’t know if it will be tomorrow or many years from now. Preparing ourselves is vital—so that we can face our mortality, with neutrality and consciousness. If we are not impersonal at the point of death, “wherever your mind will take you, that shall be your next destination.” This book presents Yogi Bhajan’s teachings, in his words, on what death is, the process of dying, how to be prepared, what to chant, and how to reach a state of deathlessness. The Sacred Way of the Sikhs flowers beautifully under the fifth Master, Guru Arjan, who composed Sukhmani Sahib—The Jewel of Peace. With tremendous subtlety and sophistication, Guru Arjan guides us to understand the essential non-dualistic nature of life. Sikh Dharma Minister SS Ek Ong Kaar Kaur Khalsa has poetically interpreted this poem of spiritual longing and experience. “Seeing the One as the Doer of everything, we can surrender fear, anger and anxiety. When we recognize our own Divine Nature, our mind will crystallize into peace. Guru Arjan, through Sukhmani Sahib, gives humanity a wonderfully positive teaching,” says SS Ek Ong Kaar Kaur. The teachings of SuperHealth for addictive behavior, as given by Yogi Bhajan (the Siri Singh Sahib of Sikh Dharma) have spread far and wide. SS Mukta Kaur, Sikh Dharma Minister, recently shared that her manuals based on these teachings—Meditations for Addictive Behavior and the newly published Healing Addictive Behavior—are now translated into Chinese. According to Mukta Kaur, “SuperHealth helps to serve as a perfect blend of the best of ancient wisdom of the East with the innovations of the West.” She notes that SuperHealth training has been approved as a continuing education provider by the American Holistic Nurses Association. SS Mukta Kaur and SuperHealth offer Specialty Professional Training for healing addictive behavior. The manuals accompany the training and are also available to the general public, offering ancient wisdom for our modern times. This new book based on Kundalini Yoga as taught by Yogi Bhajan (aka the Siri Singh Sahib) was written for yoga enthusiasts and healthcare practitioners who are looking for a deeper understanding of the human body and ways to incorporate complementary health practices in their treatment plan. Designed to inspire and elevate the approach and study of the human body, interconnecting anatomy, physiology, and ancient yogic teachings. 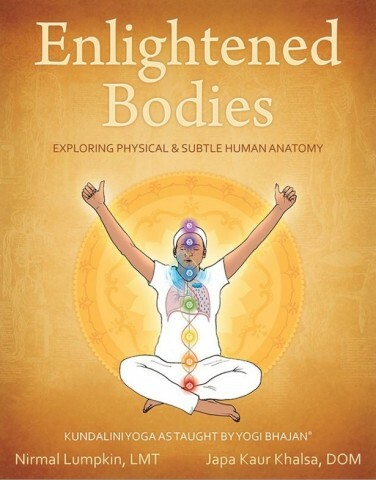 Enlightened Bodies presents the complexities of the body in a refreshing and approachable style, integrating multiple perspectives including human anatomy, Ayurveda, Kundalini Yoga, and Traditional Chinese medicine. 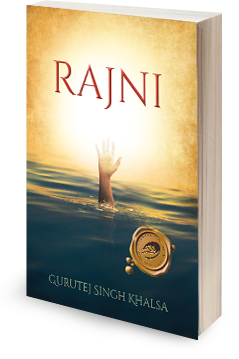 This fictional work requested by the Siri Singh Sahib to be written by Gurutej Singh “sends readers on a spiritual journey of tolerance, understanding and perseverance.” Rajni is a moving epic drawn from myth, legend, and historical events. At the age of 14, Rajni’s life changes when her father forces her to marry a handicapped leper and subsequently disowns her. Five Paragons of Peace is a book about our dawning Aquarian reality filled with hundreds of stories of the heights of human excellence, the grandeur of nature, and the wonder of the cosmic design. Winner of the 2015 Caregiver Friendly Award, Seasons of Caring offers the gifts of hope, encouragement, compassion, and empathy to those on the difficult journey of caring for loved ones with Alzheimer’s disease and other dementias. The book is a product of the Clergy Against Alzheimer’s Network, an interfaith national network of clergy, laity, and faith organizations working to focus attention on improved treatment, better care and a cure for dementia. 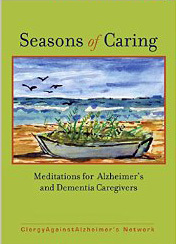 Seasons of Caring champions the dignity of all those with Alzheimer’s and dementia, and is a resource in raising awareness about this disease and helping to remove its stigma. Life teaches us that our journey cannot be mapped or controlled. But with training, we can prepare ourselves to view and respond to our challenges with more grace and inner serenity. Dying Into Life will give you such training. 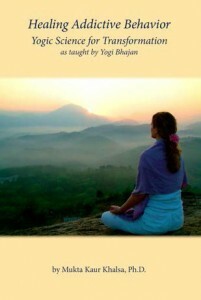 It is a practical yogic guide to life, death , nd transformation. 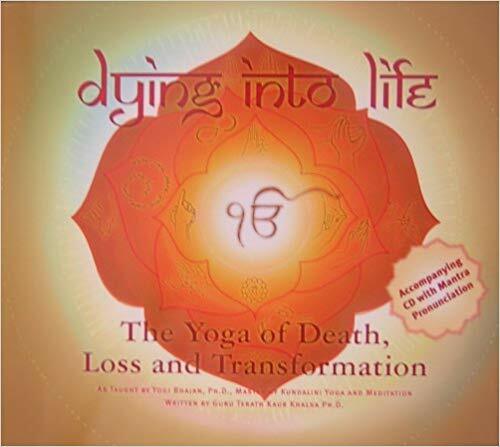 Some of the topics addressed include: – Karma, Dharma, Reincarnation – Heaven and Hell – Liberation While Alive – Spiritual Perspective on Grief – Preparing for Death – Death Coaching – Leaving a Legacy – Journey of the Soul – Death of a Holy Person Dying Into Life includes an instructional CD of all of the mantras included in the book. For the reader’s convenience, the number by the mantra in the book corresponds to the number on the CD. Now, perhaps more than any other time in history, we need and are ready for the ancient teachings of Kundalini Yoga, as taught by Yogi Bhajan, a universal discipline that can benefit everyone, no matter what their religion or creed. Yogi Bhajan, Master of Kundalini Yoga, came to the West in 1968 to train Kundalini Yoga teachers, of which there are thousands all over the world. His motto was – If you can’t see God in all, you can’t see God at all.